Even after we outgrow the jolly fellow, the essential paradox persists: There are some things we dearly believe in that are not universally acknowledged as real. InDoes Santa Exist? Kaplan shows how philosophy giants Bertrand Russell and Ludwig Wittgenstein strove to smooth over this uncomfortable meeting of the real and unrealand failed. From there he turns to mysticism’s attempts to resolve such paradoxes, surveying Buddhism, Taoism, early Christianity, Theosophy, and even the philosophers at UC Berkeley under whom he studied. 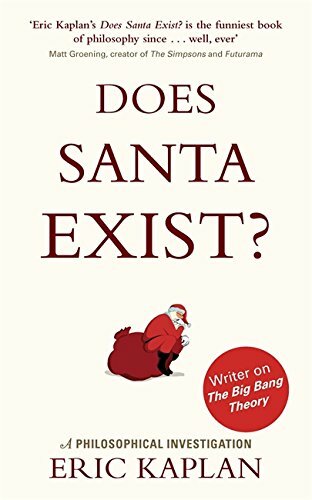 Finally, this brilliant comic writer alights onsurprisecomedy as the ultimate resolution of the fundamental paradoxes of life, using examples fromThe Big Bang Theory, Monty Python’s cheese shop sketch, and many other pop-culture sources. Finally Kaplan delves deeper into what this means, from how our physical brains work to his own personal confrontations with life’s biggest questions: If we’re all going to die, what’s the point of anything? What is a perfect moment? What can you say about God? 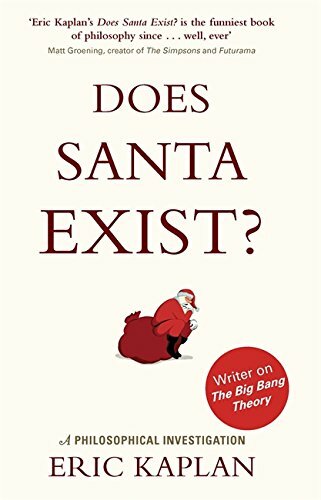 Or Santa? 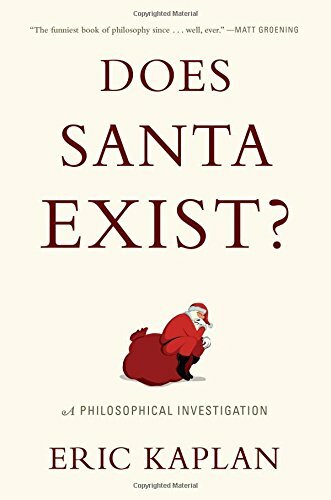 "Eric Kaplan's Does Santa Exist? 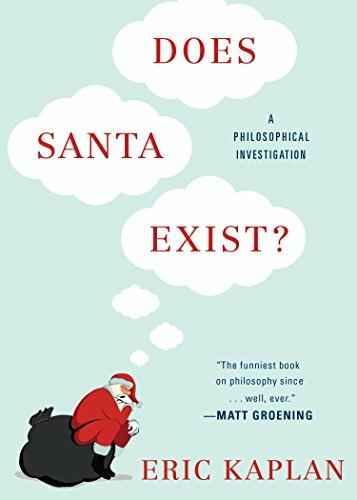 is the funniest book of philosophy since...well, ever." "This is truly a book that I wish I had written. Eric brings great clarity of thought to some of the deepest questions of the mind and our understanding of the world. And he's really funny." "I'm not sure I've ever read a more peculiar book. Fortunately, it's also smart, wise, charming, lucid, entertaining, big-hearted and maybe even profound." "Eric Kaplan's engaging book explores the big questions we need to find more time for, like: what should we believe, what makes us happy, and how should we react to suffering and death. In a clear, non-polemical style, he moves effortlessly between philosophy, neuroscience, ethics, and religion. His contrast between rationality, mysticism, and humor as responses to life's conflicts is especially original and convincing. I plan to work this book into my course "Comedy, Tragedy, and Religion." "One of the most enjoyable and thought-provoking books I've ever read. Eric Kaplan will comvince you that comedy provides as much insight as logic or mysticism into the fundamental nature of reality." ERIC KAPLAN is a co-executive producer of (and writer for) the CBS sitcom The Big Bang Theory. Previously he wrote for the Late Show with David Letterman,Futurama (for which he won an Emmy Award), and Flight of the Conchords. Kaplan graduated from Harvard and is currently completing his PhD dissertation in philosophy at UC Berkeley.